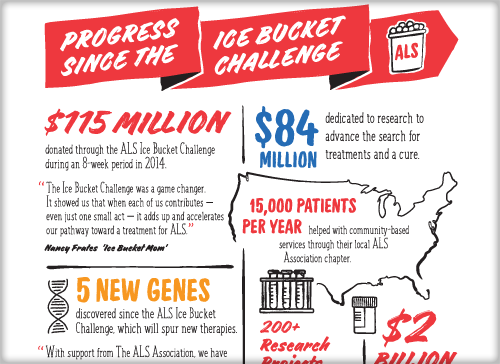 Since the ALS Ice Bucket Challenge soaked the world four years ago, something has become clear: August is for raising awareness and funds to fight ALS! Every Drop Adds Up builds on the idea that when people come together, we can make the impossible happen. Every person helped, every research project funded, AND every discovery made – it all adds up! Join The ALS Association as we raise funds throughout the month of August through our National online auction in support of people living with ALS, their families, and all those in the ALS community. Throughout the month, we will be featuring stories of people living with ALS and their families. People like Sunny Brous Erasmus, who was diagnosed with ALS at 27. Watch Sunny’s video below and discover how ALS impacts her life. We think you’ll find her as inspiring as we do. • Hover over your profile picture and click "Update Profile Picture"
When you participated in the ALS Ice Bucket Challenge, you contributed to a phenomenon that continues to fuel progress. The ALS Ice Bucket Challenge was a tremendous event in our Association’s history, raising $115 million in the summer of 2014. Not only did it bring awareness to this devastating disease, it importantly spurred a huge increase in our research budget. Since the IBC, we have committed over $96.4 million toward our mission, including over $84 million in research projects. The ALS Association is committed to transparency in how donor dollars are helping to fuel efforts to find treatments and a cure for the disease. 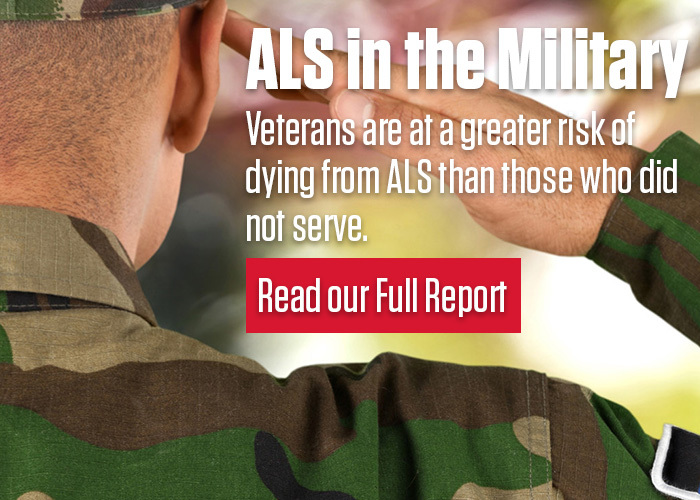 We have compiled links and dollar figures associated with all of the projects and initiatives announced by The ALS Association that we have committed to fund using money raised during the 2014 ALS Ice Bucket Challenge. 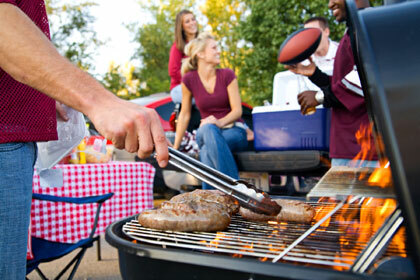 Want to measure YOUR impact this August? Create your very own fundraising page to encourage friends and family to support the fight against ALS! Using our special platform – One Dollar Difference – you’ll be able to customize your own web page, set a fundraising goal, and keep track of the gifts you receive to benefit The ALS Association! 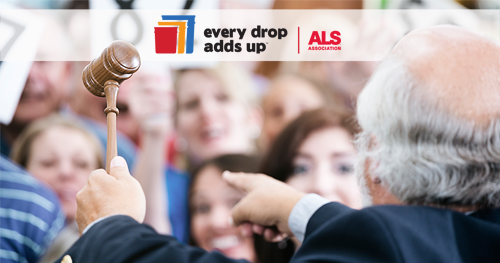 Each contribution to the fight against ALS – no matter how seemingly large or small – adds up. Please consider making a donation this August, and every August, until we have a cure. Then, tell your friends why the fight against ALS matters to you and encourage them to make a contribution, too! “Every ___________ adds up.” How would you fill in the blank? Tell us about your connection to ALS and your commitment to advance the fight against ALS. 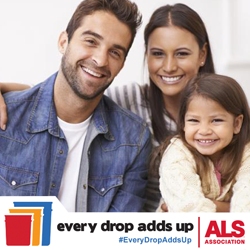 Share your “Every” and help increase ALS awareness this August! When you sign up, you’ll learn how you can help secure more funding for ALS research, expand care and resources for people living with this disease and their families, and advance legislative priorities that are important to the entire ALS community. Check out our blog to read the latest ALS news and how your support makes an impact! 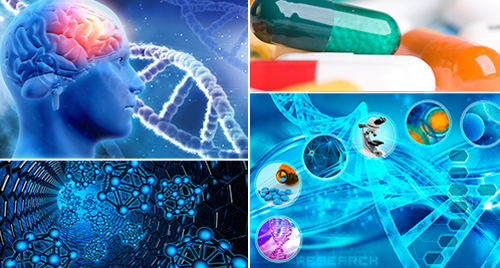 Participate in an upcoming research or care services webinar to learn the latest in ALS!